The Kalye serye star Maine Mendoza unveil and sing the theme song of they're first ever upcoming movie with Alden Richards. 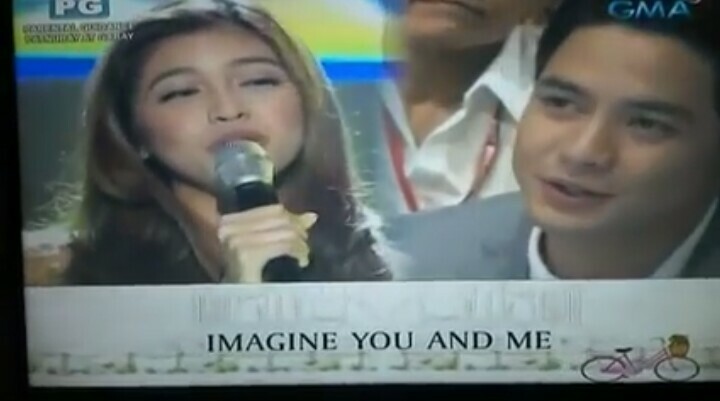 The title of the song is "Imagine You and Me" that easily captures and touches the heart of the netizens and most especially solid Aldub fanatics worldwide. They really liked the lyrics and the meaning of the song. Is it for Alden Richards or to Special someone, Guess Who?. I don't really know if they will allow anyone to download song "Imagine You and Me" for free. Aldub is celebrating its first ever Anniversary, at Eat Bulaga on July 16, 2016, Saturday. Eat Bulaga is yet to announce the details of the said upcoming event. We'll be expecting it to be a big celebration. Watch Maine Mendoza performance, sings Imagine You and Me plus Movie Teaser.